You should be able to feel good about the law firm you decide to work with. We understand that most dispute resolution cases are very upsetting for both sides. Our Australian dispute resolution practitioners will always treat you with the kindness, compassion, and respect that you deserve. This doesn’t make us soft in the courtroom, though. In fact, your decision to work with Unified Lawyers will always be justified in court or during alternative dispute resolution (ADR). We constantly communicate with our clients and take a hard as nails approach during litigation, assessment, mediation, arbitration, agreement disputes and commercial litigation to make sure that our clients are treated fairly. Dispute resolution and litigation don’t need to be tricky processes. Instead, let the experienced legal team at Unified Lawyers help you get a fair dispute settlement. Our Sydney team of family dispute resolution lawyers believes in making the legal process as uncomplicated as possible for our valued clients. We understand that you may be uncertain exactly what dispute resolution actually is. In basic terms, dispute resolution is the process of resolving disputes. Therefore, whether you’re involved in a small claims case, trying to resolve outstanding debt from a contract, going after someone for stealing your intellectual property or dealing with a large house building contractor or real estate related issue, your case is going to be classified as dispute resolution, unless your complaint has been escalated. Have you met with another FDR lawyer and felt like your head was spinning due to all of their legalese? We believe that legal advice for issues ranging from property disputes to commercial litigation should be fully accessible and understandable. When you meet with your lawyer, he or she will explain the entire litigation and dispute resolution process in words that actually make sense. You will be fully informed about your options, and you’re highly encouraged to ask questions. Dispute resolution can take many forms, including litigation and mediation. The specifics of your case will help determine which process is the right one for your legal issue. If your dispute resolution process requires litigation, your lawyer will represent you in court. The court proceedings will determine which party is responsible for legal issues such as a contract dispute. When someone files a lawsuit against you, it’s imperative to have the very best dispute resolution lawyer by your side. You’ll also need top-notch assistance and the best skills available if you decide to take legal action against someone else. Either way, Sydney, Australia residents can benefit greatly from working with a dispute resolution team with a proven history of success! Whether your contract rules require mediation or you’ve simply agreed to this alternative dispute resolution (ADR) process, you’re going to need an excellent lawyer to get the best possible results. A mediator will work with both parties to look for a mutually agreeable resolution. The mediator acts as a third-party instead of a judge, which gives you more room to creatively solve a contract dispute. Mediation is sometimes necessary for divorce cases, and it’s a common way to reach a dispute settlement without needing to go through court proceedings. In arbitration, you’ll still most likely have to testify about the issue in question, but the legal process will be more relaxed than a litigation case. Much like in mediation, the arbitration process is designed to achieve conflict resolution without going in front of a judge. The arbitrator makes a decision for both parties, though, instead of helping them resolve the conflict together. Arbitration is common for insurance disputes. It can be difficult to take legal action against another person or entity that wronged you if they’re located in another country. Fortunately, international arbitration is an option in some cases. Our dispute resolution law firm is well-equipped to handle this form of alternative dispute resolution (ADR). Are you getting a divorce or dealing with nother family law matters? You could go to court, but your odds of getting an unwelcome result are higher than most people are willing to accept. Collaborative law offers a good alternative for family law dispute resolution. Your case will not require litigation when you choose this option. Our law firm will help you resolve dispute, negotiate through restorative justice, and develop an agreement in a mutually agreeable manner. Have you been involved in a litigation and dispute resolution case that didn’t go as expected? You have the right to appeal to the legal system! We are prepared to appeal all the way to the Supreme Court, if necessary. It’s important to be aware that cases aren’t always resolved in a satisfactory manner, even when everyone involved does everything correctly. We can help you understand all of the rules involved with filing an appeal. As always, we will put our extensive knowledge and experience to work to win your case! You should be able to feel good about the law firm you decide to work with. We understand that most dispute resolution cases are very upsetting for both sides. For example, a family law case often involves a dispute regarding custody. The last thing you need is to have a legal team that is cold and unapproachable. Our Australian dispute resolution practitioners will always treat you with the kindness, compassion, and respect that you deserve. This doesn’t make us soft in the courtroom, though. In fact, your decision to work with Unified Lawyers will always be justified in court or during alternative dispute resolution (ADR). We constant communication with clients and take a hard as nails approach during litigation, assessment, mediation, arbitration, agreement, commercial litigation and international arbitration to make sure that our clients are treated fairly. 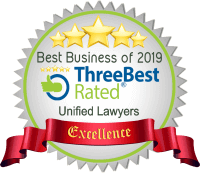 Unified Lawyers is prepared to help anyone with information and assistance in the Sydney area who has a problem with a litigation and conflict resolution case for family or business. We’ve worked on everything from property disputes to intellectual property disputes, and we’ve got what it takes to get a fair settlement! Contact us today to schedule a meeting to discuss your case.